We are not like your average cigar company that produces 50,000 cigars a week just for a quantity point. We produce at a maximum of 2,000 sticks a week because our cigars are handcrafted individually with precision, and we like to engage our time in the crafting process. We value our product and inspect each stick on quality and appearance. The company was founded in the Dominican Republic back in April 2016 when a well-known cigar factory, Tabacalera F. De La Cruz, granted Christopher Moore an opportunity to start his own cigar brand. Christopher tested the product vigorously. His hard work paid off when he received numerous positive responses about the product and it was then that a blend was born! Master Blender Francisco De La Cruz has been in the business since he was 13 years old and has managed the Tabacalera F. De Le Cruz Factory since 1997. De La Cruz is a highly respected blender and business man in the cigar industry. He has helped other cigar businesses such as La Flor Dominicana and Romeo and Juliet climb the success ladder and reach effortless success. Our goal is to create an unforgettable cigar experience for all levels of cigar enthusiasts while demonstrating exemplary customer service. 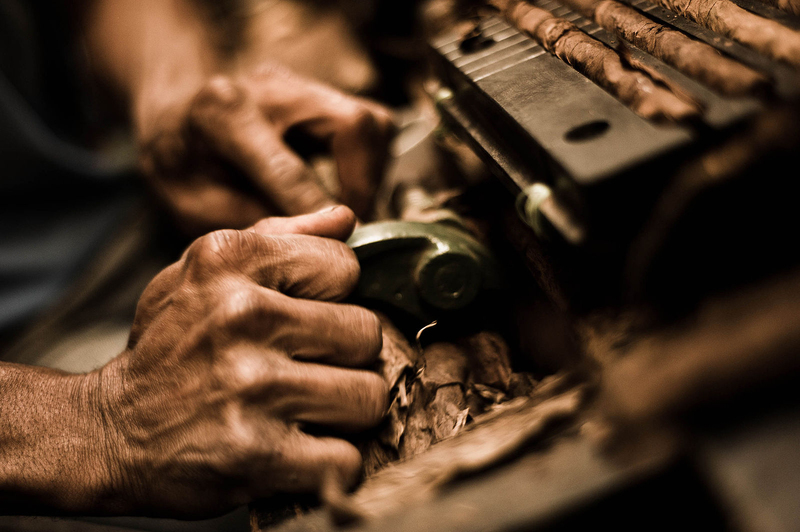 We put our Pride, Care and a Detail-oriented mind set into making these cigars for customers. Our company’s foundation is deeply rooted and motivated by our families’ background of tobacco farming all the way out to Harlowe, Eastern North Carolina. We matured from those indelible youthful experiences, and we have incorporated the same Pride and Tradition for our tobacco fields all the way to the Dominican Republic and back out to our customers. Premium cigars with balance, consistency, and excellent flavor. Carolina Blue Cigars are created to perfectly compliment and celebrate all of life’s simple moments. We are more than confident that our cigars will change the market from a taste standpoint. We envision people around the world enjoying one of our cigars under a Carolina blue sky. We continue seeking ways to improve our blends by using the finest tobaccos that are aged and cured to the strictest specifications of our Master Blender. Our goal is to create an amazing cigar experience for all levels of cigar enthusiasts. By entering this site, I verify that I am at least 18 years of age.